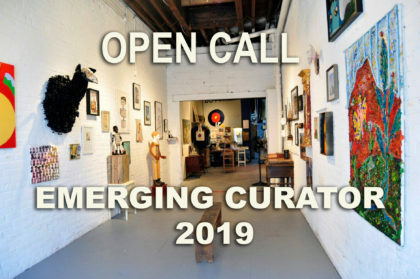 Emerging Curators is an open call invitation to independent curators who may not have had opportunities to present a project to an audience, or first time curators to submit a Project/Exhibition proposal to be part of Local Project’s 2019 exhibition calendar. This program will provide the curator with an exhibition space, guidance in marketing, a stipend and a printed catalog. Exhibitions will be reviewed by a guest curator, we will then select 6 proposals for the year 2019 to happen in the LP gallery and at site specific locations or other galleries in LIC area. The Emerging Curators will represent the vision of a new generation. -Outline plan for a 2 week exhibition or 1-3 day performance program. -Describe your idea in a simple way and be original – up to 1000 words. -Include up to 5 images. -Curator and Artists must be residents of New York City. -All mediums and ideas are accepted. -Curators can’t include their own work in the exhibition. – Curator must supply all the content for the catalogue, including high res images, artist info and a paragraph about the exhibition etc. -Only one proposal per curator, curatorial collaborations accepted. -Selected Curators must be present all the times during installation, opening, programs and closing ceremony, and embrace the DIY mentality of LP, by participating, collaborating and sitting at the gallery. -Submit a PDF to opencall@localproject.org with EMERGING CURATORS on the subject line. Please don’s apply if you where part of the program as a curator in the past.